This warm season, including this spring at Quivira, I finally took some time to get to know the Swallows a little better, not only in visual description, but in song, behavior and flight. 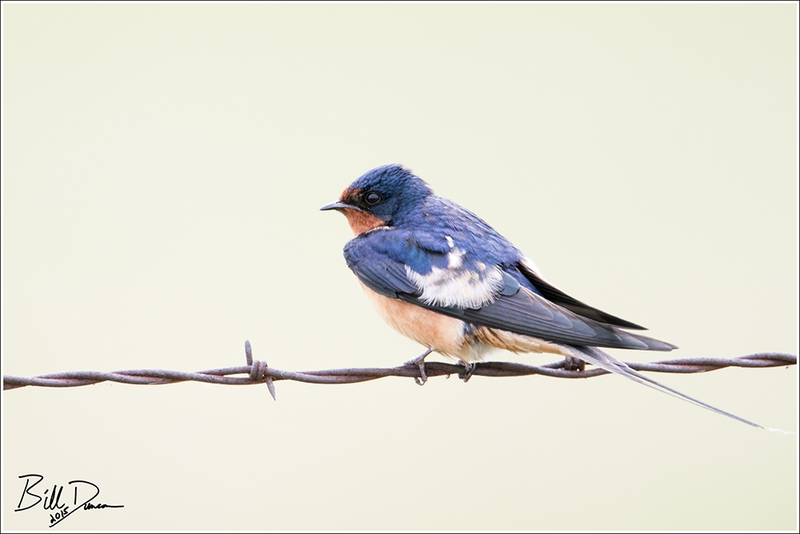 Other than their beauty, I find the Barn Swallows to be the most gracefully designed and beautiful fliers of their kind. With their long, forked tail and sleek and slender wings, I am sure they could beat any other swallow in a dogfight. It’s a simple pleasure to watch them swoop down, mere inches above a field to catch an insect on the wing, to then see them rise a few hundred feet while banking and rolling. Their varied and constant chatter ranks among my favorites as well. 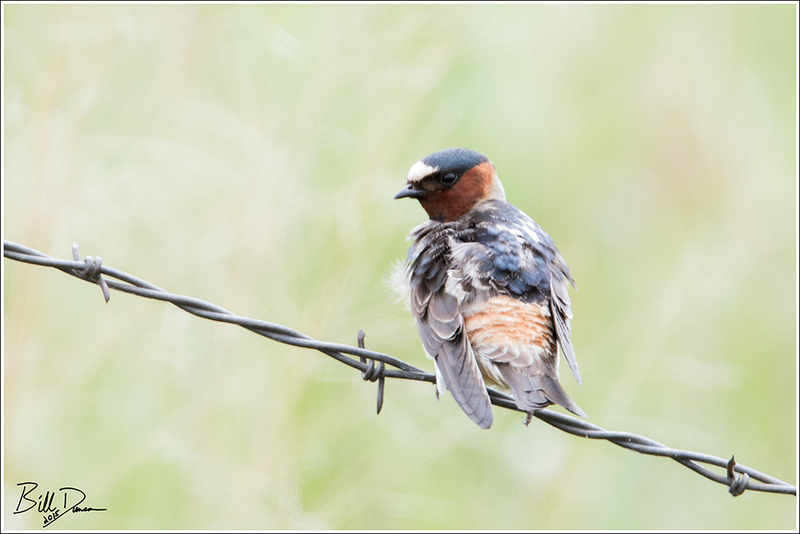 Pete Dunne most appropriately describes the Cliff Swallow as a “…husky crop-tailed Barn Swallow wearing a miner’s lamp.” Another gorgeous swallow, this species is very communal and will often nest in the hundreds or thousands together, making gourd-shaped nests out of mud. 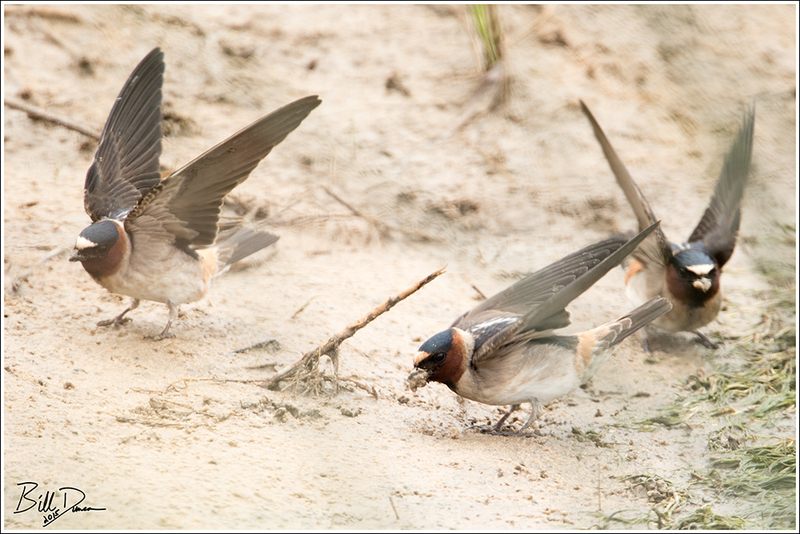 The image below shows a few birds collecting mud on the banks of a stream that runs through Quivira.